Facebook deactivated her profile on police request. Then police killed her. 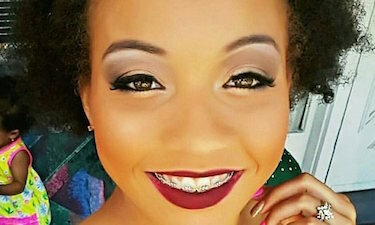 Mark Zuckerberg's Facebook, at the request of police, deactivated the social media accounts of Korryn Gaines, a 23-year old Black woman shot to death by Baltimore County police last Monday. She was broadcasting the standoff on Facebook that led to police shooting her 5-year-old son and killing her. Social media and shareable videos have been crucial not just for raising awareness about the injustices Black folks like Korryn and her son face every day from police, but in allowing us to control our own stories and narratives. Without access to social media, the police control the narrative. And when police control that narrative we’re always portrayed as people who deserved to die. This is a dangerous precedent. To keep our message from getting out, police are going to keep taking our social media out. Deactivating the social media accounts of people at the request of police sets a dangerous precedent. If Facebook continues to comply with police requests to suspend social media broadcasts and accounts, it will rob us of our voices and our narratives and it will shield police violence from the public. As the CEO of Facebook, we demand you direct your company to stop censoring users at the request of the police.